Social media marketing, fashion blogs, and product websites have made it much easier for designers to reach their intended audience. Most of us use social media and blogging to market our vision and build a successful business. While this is a great way to generate sales, it’s still true that some of the most rewarding (and profitable) business relationships are those forged through personal contact. Trade shows Trade shows are commonly attended by industry professionals, company representatives, and members of the press. In the months preceding a scheduled event, you will want to set up appointments to meet with individual representatives. 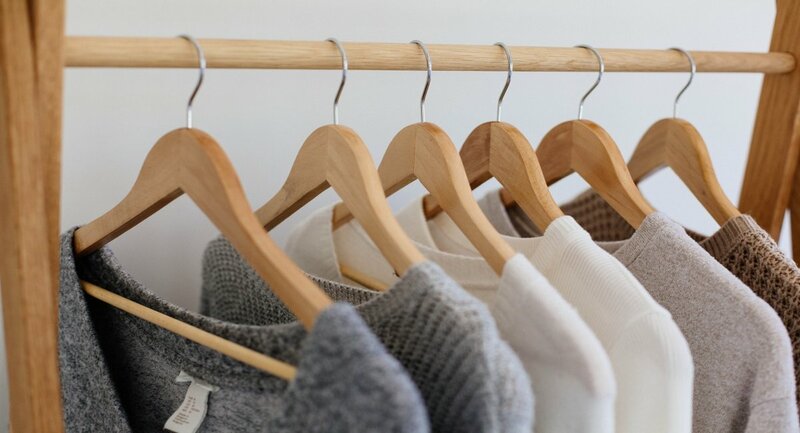 Your investment provides valuable connections to fashion buyers stocking their inventories and selecting designs they believe will give their outlet and edge over their competitors. Most of the products displayed at trade shows are designer samples and prototypes, so they do not require an extensive inventory and are ideal for generating leads and future sales opportunities. Live Sales and Market Events While trade shows are a way to get your brand noticed and allow you to make important contacts within the industry, they do not provide much opportunity to connect with the general public. Depending on the venue, market events can provide the opportunity to take customer orders or sell your inventory directly. 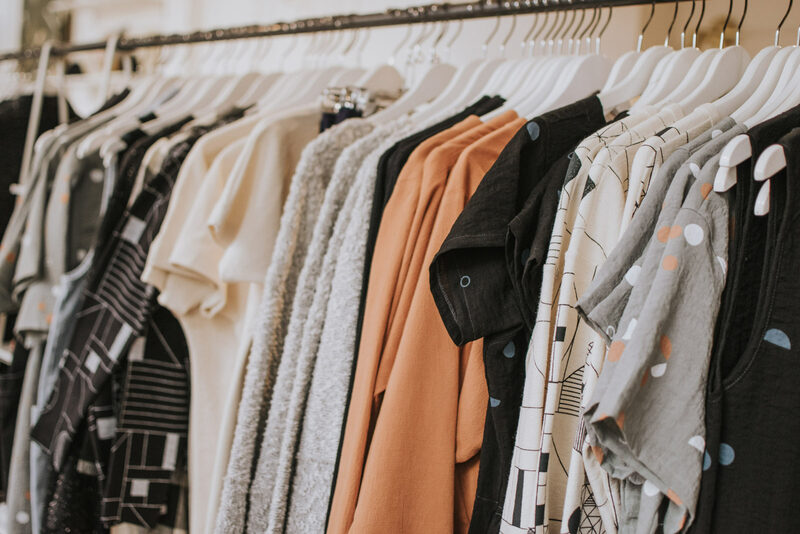 Many of these events provide the ideal opportunity to connect with small business owners looking to stock their boutiques. They can also put you in direct contact with the customers who are wearing, or could be wearing, your brand. Whether you plan to sell to corporate representatives, small business owners, or directly to potential consumers, these events provide a significant opportunity to make important business connections. They are also a great way to generate leads and forge personal relationships with those who value your brand. Offer Comfort or Fulfill a Need: When trying to attract the attention of potential buyers, you can encourage people to slow down, take a look, and take notice by providing something they may need. Many designers accomplish this by offering a comfortable place to sit, a cup of coffee, something to nibble on, or a place to charge depleted batteries. There are several advantages for creating a pleasant haven for the tired or overwhelmed. You can engage prospective customers in memorable conversations, take the opportunity to exchange information, or boost brand recognition by giving away promotional items. Stay in the Moment: If you look around any event where people congregate, you will likely see a significant number of vendors simply guarding their station rather than engaging potential customers. Live events are your opportunity for people to get to know you and your brand. Make it your policy to focus on the experience. Pay attention to your body language and make eye contact. If you anticipate feeling uncomfortable initiating conversations, take some time to practice a few conversation starters. Or consider rehearsing a compelling story about your brand. Don’t lose sales by appearing disinterested. Be the Solution: Most purchases are finalized to solve a problem. Rather than talking about the details of your designs, the beauty of the fabric, or originality of the piece, be sure to inform your customer of the problem-solving benefits of the products you design. Busy professionals love hearing about easy-care fabrics. People with sensitive skin appreciate learning about your decision to use hypoallergenic fibers. Rather than talking about features alone, detail each feature and clarify the benefits. Ask the Important Questions: Attending a live event is a marvelous opportunity to get to know the people who appreciate your designs. Every event you attend is an opportunity to ask your audience what they are looking for, talk about their fashion pain points, and look for commonality. Take notes. 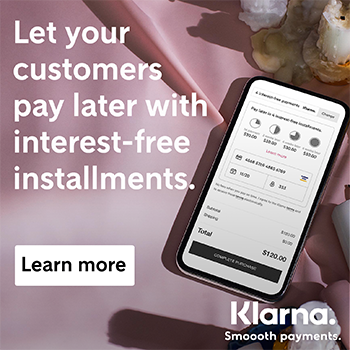 Learn about your potential customers, where they shop, what they buy, and the details that guide their purchasing decisions. Honest conversations will help you design the products that delight your audience. Be Your Own Best Advocate: When you advocate on behalf of your products, your products will essentially sell themselves. Remember, for every problem, there is a solution, and for every detail, there is a benefit. Keep in mind while advocating your brand that you should be speaking the language your customers understand. If you are working a venue filled with industry professionals, using industry-specific language or terminology is expected. If you are working one-on-one with the customer who wears your creations, you may want to be careful not to use too much jargon. When engaging potential customers in pleasant conversation, you may be tempted to start a conversation and keep on talking. Try to remember that one of the most effective forms of communication is listening. Rather than telling your prospective customer what you are about, ask questions and align your brand as the solution. Offering insightful solutions is the first step to building meaningful, mutually beneficial, and profitable relationships. Some fashion entrepreneurs find that they need to hire outside help for events. Support personnel should be well-versed in your brand messaging and the benefits of your creations. Anyone representing your brand should be (almost) as knowledgeable and enthusiastic about your designs as you are. For trade shows, contact the buyers you would like to see your designs several months in advance. Take time to touch base with prospective customers from your attendee list or social media contacts to remind them of the upcoming event. Be prepared for the attendees who want to negotiate. Know where you have room to bargain and where you need to stand firm. Consider providing brochures that identify your brand and the features of your designs. Be sure to include relevant contact information. Use personalized stationery for quotes or staple quotes to a brochure, since attendees will likely be collecting multiple quotes. Consider offering a customer loyalty program or refer-a-friend promotion in sales venues to generate repeat business. Pay attention to customers and don’t allow yourself to be distracted by electronic devices when you are in your booth. Also, don’t forget that eye contact matters! Follow up on leads within a few days after the event with a thank you note. Don’t forget to ask for the sale. Learn soft close techniques to gauge customer intent and close more transactions. Don’t underestimate your value or take rejections personally. Trade shows and market events are valuable for generating sales opportunities. Strive to create a memorable experience by showing genuine interest in your potential customers, asking questions, and offering your products as a solution. While an eye-catching storefront or interactive display can attract attention, the most important product you are promoting is yourself. We hope these tips help you make the most of your next trade show or sales event! Let us know about your experiences in the comments! StartUp FASHION is an online community where independent designers and emerging brands are coming together, helping one another, forming friendships, collaborating, letting off steam, sharing victories, and belonging to a network of people who get it; who are doing it too. We’re a place to access and discover the tools and information you need to build your fashion business. We help you define your path and give you the guidance, encouragement, and resources to follow that path.